I’m always looking for interesting items when I’m visiting my local thrifting haunts, and I tend to find the best things at the thrift store that I go to every day on my lunch hour. This store is very well organized with amazing volunteers. They go through things carefully before putting them on the shelves. So I very rarely see anything that’s damaged or stained. Because of this things move quickly, and there are new items to look at every day. So if you don’t go every day you might definitely miss something great. Now I don’t find something every day… but like this week’s find I do usually find one or two interesting items each week. 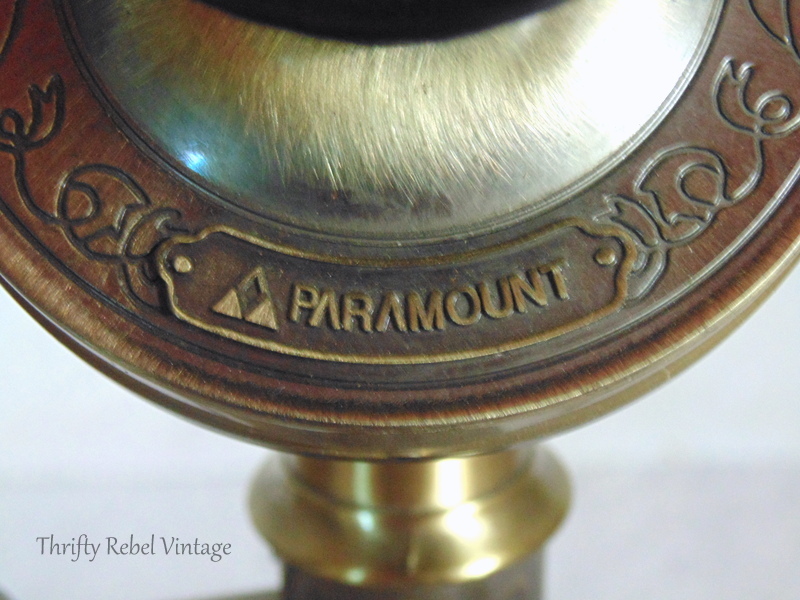 This week’s fabulous find is a Paramount Collector Series Telephone. I knew it was a replica, but I thought it was so cool and $5 was a fair price. The price label on it said it worked, but I also asked the volunteer at the cash if there was somewhere I could try it… but there wasn’t. 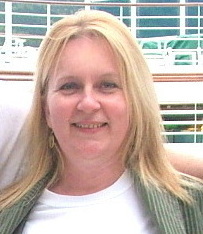 The volunteer and I know each other, frankly most of the volunteers know me because I’m there pretty much every day. She said that if I got it home and it didn’t work I could bring it back for credit. This particular store doesn’t give refunds, but credit was absolutely fine with me. It’s an aged-looking brass and has great details. 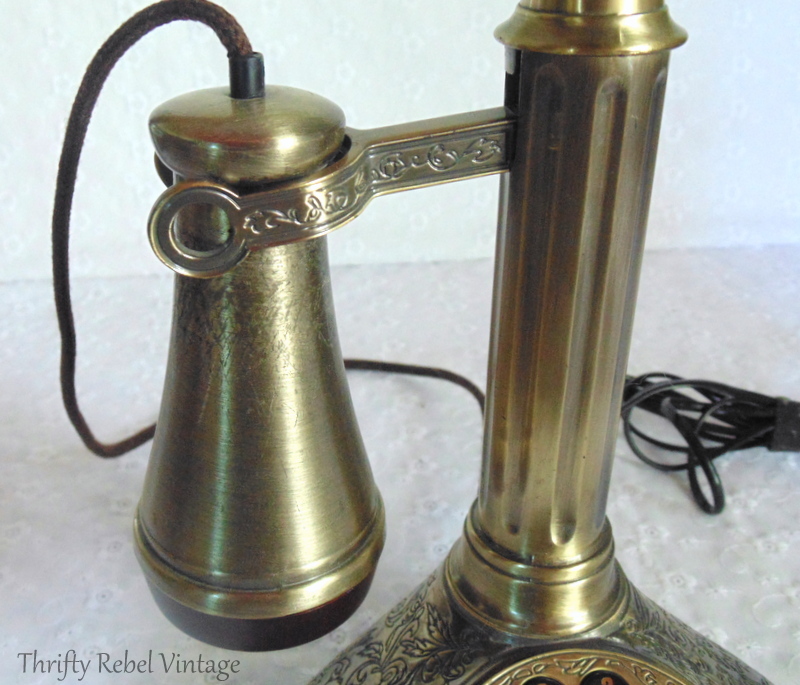 I’m not sure why but I have a thing for vintage and retro telephones. Maybe it’s because they remind me of simpler times, when everyone wasn’t plugged in 24/7. Except for me… who is still resisting answering the call to the cell phone age. I got close once, but I quickly thought better of it… so I’m still cell phone free. I know some people who have gotten rid of their land lines completely. So all plug-in phones may some day, maybe even sooner than we think, really be a thing of the past. 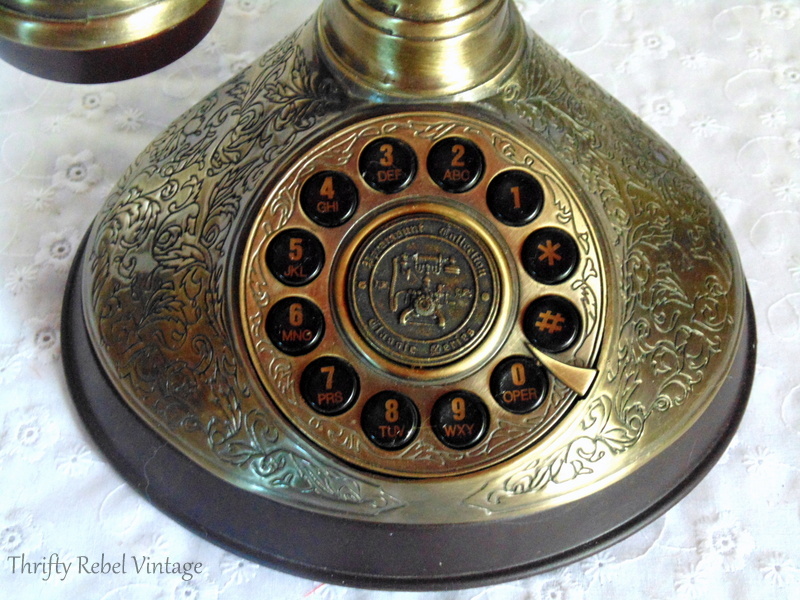 This replica phone has an authentic looking rotary dial that is actually push button. I love that the zero marked as Operator. John and I recently bought The Andy Griffith Show series on DVD and we’re really enjoying it. Every time Andy uses the phone at the Sheriff’s Office he has to go through Sarah the telephone operator to get connected. There’s just something so cool about that. Maybe I was born in the wrong time. lol. The one thing that kind of confused me about whether or not this phone actually worked was the cloth cord that went from the phone to the earpiece. But when I plugged in the phone jack it worked perfectly. 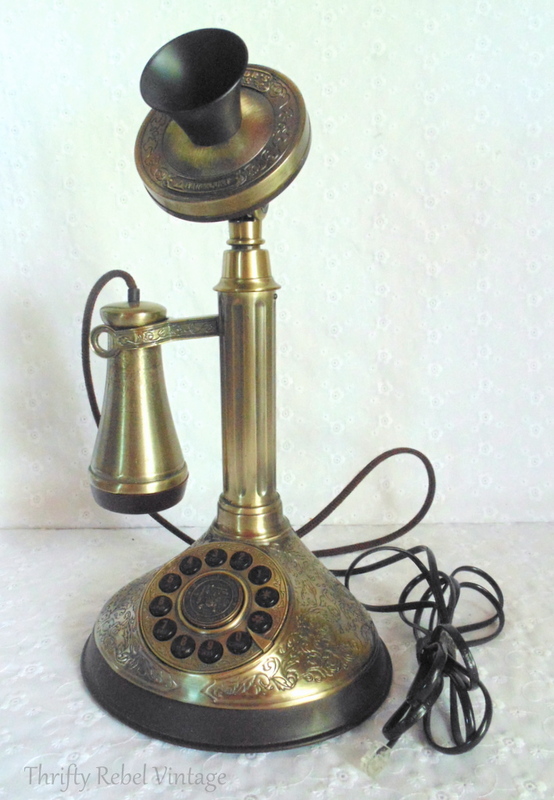 This phone is style 1919 in the Paramount Series. From my research it seems that the Model Number is the year that this style of phone would have been used. The volume of the ringer and the earpiece can be easily adjusted. 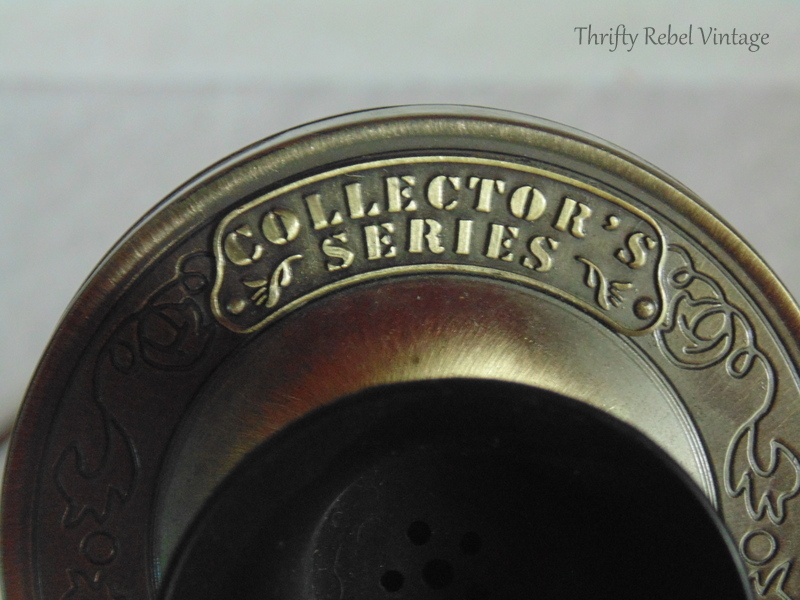 This Paramount Collection Series Telephone has a very good weight to it, and even though it’s a reproduction it seems to be pretty well made. Will I actually use this phone? Probably not. Does it make me happy? Absolutely. But not as happy as finding an authentic retro mid-century rotary dial phone would. 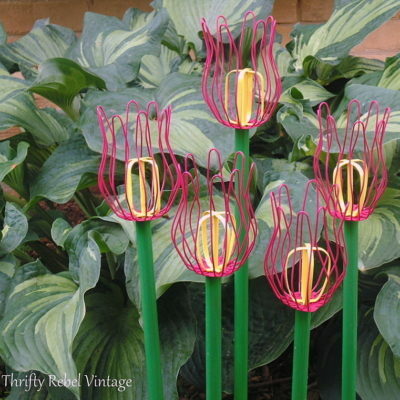 Especially in pink, green, blue, or black. I’ll be doing a happy dance when that happens that’s for sure. 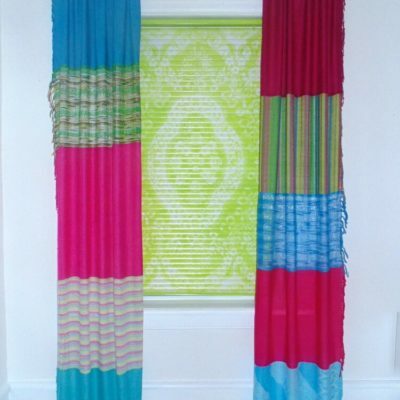 I’ve been looking for one for my craft studio for a few years now. That phone I will actually use… if I ever find it. I know I could find one online, but I prefer the local treasure hunt. Eventually I’ll probably sell this Paramount phone. I saw one listing for a very similar phone on ebay for $50. That’s not too shabby. Do you have any vintage/retro phones? what a cool item and great find; especially since it id still workable. We still have land line but both hubby and myself have a cell phone but use mostly for an emergency when we are not home and are on the road just incase we have vehicle problem or in case of accident of some sort. Nice to have just in case a person has to call 911 especially when electric power is out and then unable to use land line. Have had to use our cell phones a few times when our power was out at home. That is a very cool phone. Not too comfortable to use though, I wouldn’t think. 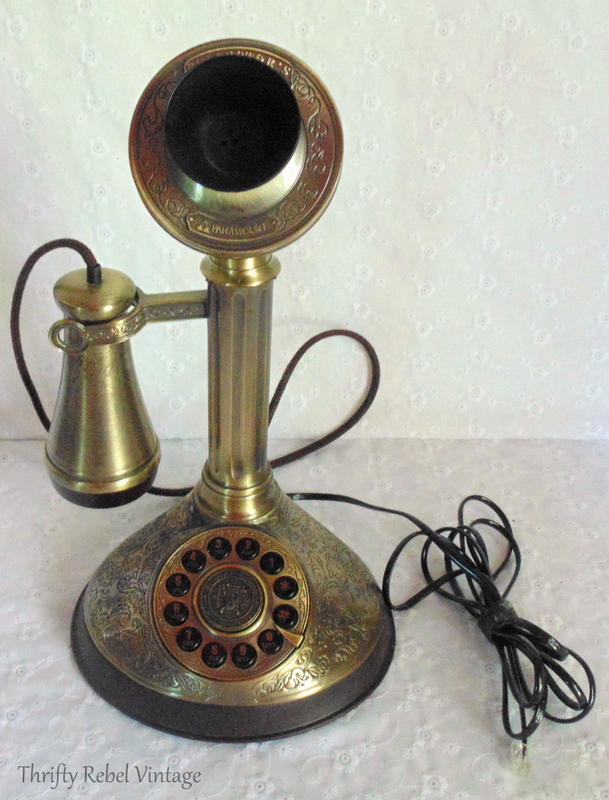 I do have a yellow Victorian style phone, reproduction with the dialer. I keep wanting to sell it but my daughter keeps telling me not too! I resisted a cell phone too but now I am glad I have it. It is just too convenient. My excuse for giving in was so I could look up vintage items at thrift stores for my Etsy shop….business reasons, ya know! It is great for that. Although I do not use it’s many features, it is good to have and has gotten me out of a lot of situations that I would have been stuck without it. This brings back memories. We had a wall mount phone like this when I was young. 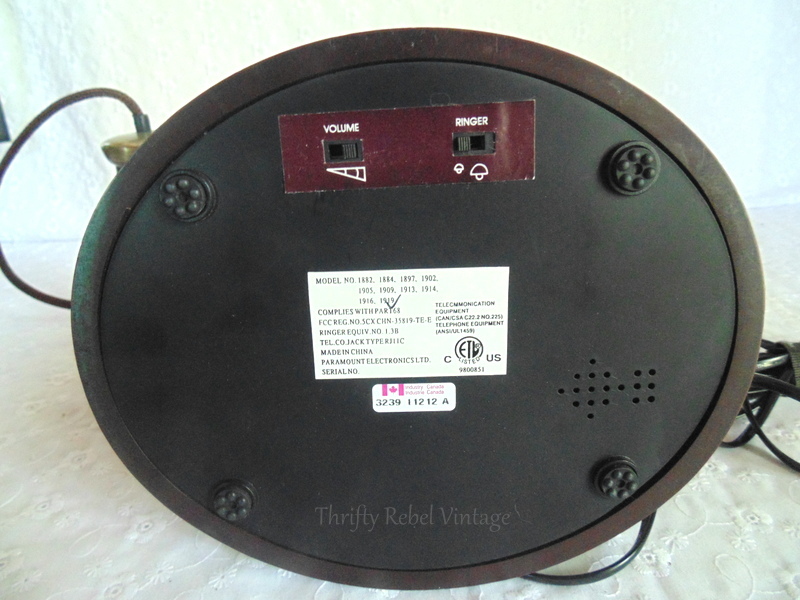 It was a big wooden box that hung on the wall, the hear piece hung on the outside and you opened it up to dial. There was a little, slanted piece of wood on the front (like an old secretary desk) where you could put a notepad and pencil). My parents were really into antiques, we also had a toilet with the tank way up high and you pulled the cord to flush it! The phone you found is really cute. I actually think we may have had one like that too! lol! I don’t have a landline anymore either, just my cell phone. Thanks Tania! That phone sounds amazing! I’m pretty sure I’ve seen one like that in a museum not too far from here. Sounds like you came into your thrifting/vintage hunting love through your parents just like I did. It might sound crazy, but I’ve always wanted a toilet like that just for fun. lol. We still have a landline as well as an old AT&T rotary desk phone to plug into the line when the power is out (scored at the local thrift shop!). Our other landline phones are digital and do not work in a power outage. I have a cell phone as I travel alone; my husband does not. However when the cell tower in our little mountain village is down the cell phones do not work. I get that Holli! My friends make fun of me because I’ve never sent a text. lol. Land lines still do come in handy. I have a land line. No cell phone here. I am a retired telephone operator. I spent 24 yrs. talking on a phone. Actually with a headset on talking to people on their phone. Love the phone you found. Thanks Olivia! Well, I was wondering if I was going to hear from someone else who has resisted the call. Sometimes I think it’s just me. lol. That is the coolest phone Tuula! My goodness, you really scored, even if it isn’t really vintage. I’ve found that old phones, or vintage style ones really sell well for me. And by the way, I can’t believe you are cell-phone-less! You go girl. I thought I was the last to get one. Thanks Florence! That honor will probably go to me Florence. I’ll happily accept it… I think. lol. I’m glad to hear that phones sell well. I imagine I will sell it at some point, but right now I’m just enjoying it. Awesome phone. I’ve never seen one like this. I just found 2 rotary phones at an estate sale. One is beige and one is cream. And they both work! I have the cream one sitting on my desk and I love using it. There is nothing like the sound of the dial spinning back and forth. I have the beige one listed in my Etsy shop.